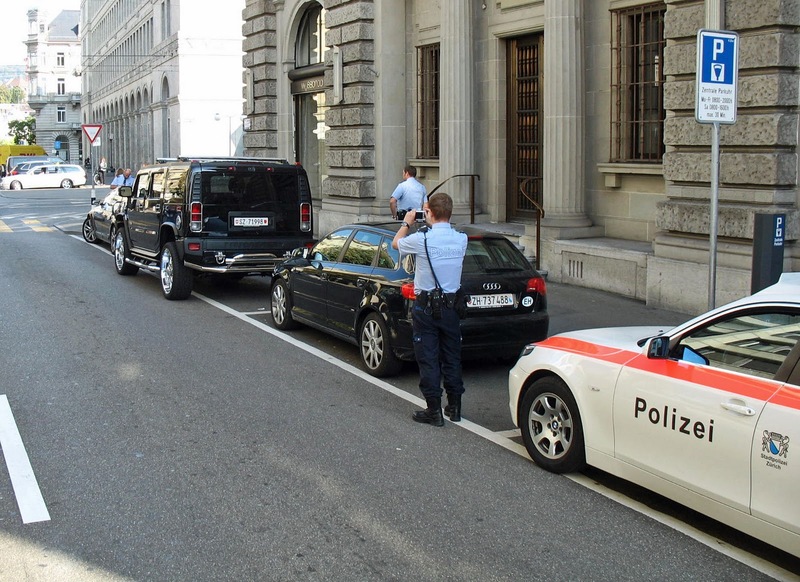 We were cruising along a Zurich street when we saw the Swiss police mighty interested in a few parked cars. I clicked a few photos of them checking the way the cars were parked. Once the traffic cleared we saw what they were interested in. An SUV parked carelessly, its two left wheels outside the white line. They are clicking away at what I thought to be a minor offense. 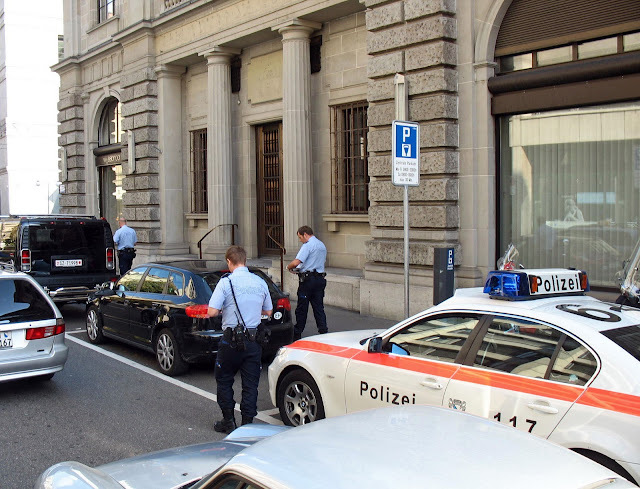 The police were not about to get into an argument. They would have a photograph to prove their point. Related Images: Zurich city - bridges, river, people and buildings or Or check out other photos on Switzerland or Zurich.